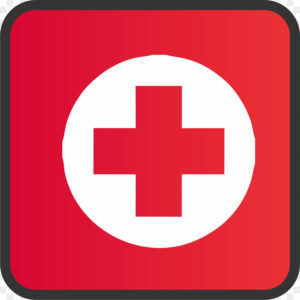 Become American Red Cross certified to recognize & care for a variety of injuries and respond to breathing and cardiac emergencies for adults, children, & infants. 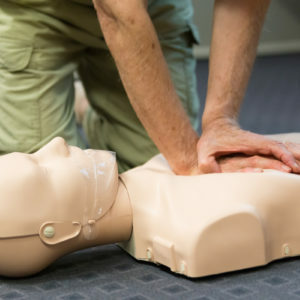 In addition, this course gives you the information and the skills you need to help adults and children during many emergency situations. 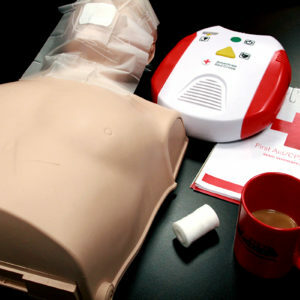 This training with hands-on skills sessions delivers the latest information in first aid response. Classes are held on the 3rd Thursday of every month from 1:00-4:30pm. Please write this down for reference and enter it in your calendar. If you have not already, make sure to fill out the course registration form in addition to paying for your course here. To pay with a credit card, please select “Add To Cart,” and then click on “View Cart.” From there, fill in & submit your information. Your payment will be processed securely.